One of the most important things you can do when shopping for a new home is selecting a real estate agent who is familiar with the area. Dan Holt and his team have the experts on Missouri real estate that you need. With our knowledge and experience, you can rest assured that finding the right home for you is only a phone call away. Finding the right city or town for your new home is at times as important as the house itself. Clever, Missouri may be the perfect town for you. If you are looking for a small town feel with convenient access to the benefits of a metropolis read on to learn more about Clever. Learn more from the Dan Holt Team below! The land that would eventually become Clever was not settled until around the 1890’s. As more people began to settle in Southwestern Missouri, the ‘Old Wire Road’ was established from St. Louis to Fort Smith, Arkansas which passed through Springfield, Missouri and through Christian County. This road was used often by settlers and supply trains headed for Fort Smith. Once a road was established from Springfield to Billings, Missouri that crossed the Old Wire Road, a crossroad was established in what would later become the town of Clever. Clever was suggested as a name for the newly established town because the residents were “friendly and wise.” For the first one hundred years of Clever’s existence, the population stayed around 500 residents. However, between 1990 to 2010 the population quadrupled to around 2,100. Clever has a well-established excellent school system, with the Clever Jay’s being the pride of the town. The state-of-the-art facility was built in 2008 and includes a FEMA shelter, a performing arts center, and much more. You can rest assured if you are planning on moving your family to Clever, your children will receive a great education. Clever is an excellent place to start and raise a family. With the excellent school system, low crime rate, and thriving business sector you have everything you need settle down in Clever. 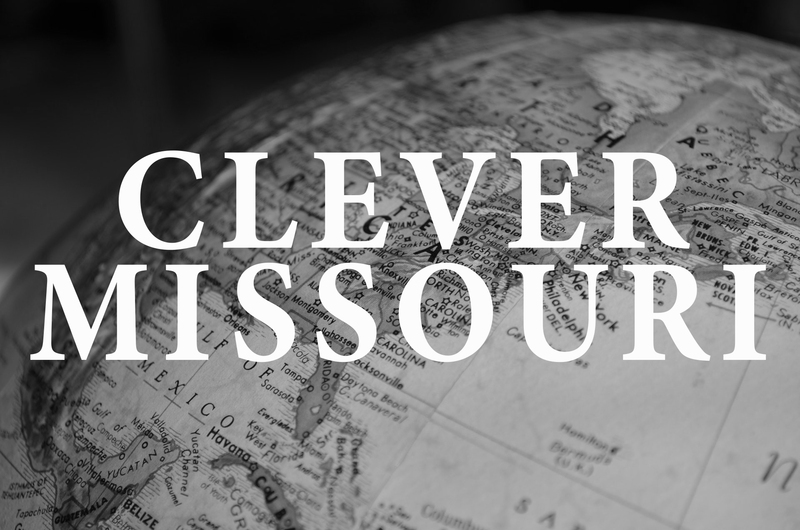 In addition, Clever’s location is perfect for that welcoming small-town feel, yet a short drive away from larger metropolitan areas like Springfield, MO. Clever is quickly growing, too. The Dan Holt team has properties available with established houses as well as land properties if you are wanting to build your own home. Dan Holt and his team are ready to assist you in finding the perfect home for your needs. Whether that is in Clever or any other town in Southwestern Missouri, the Dan Holt team is ready to get you in the home of your dreams. Contact us today to speak with one of our real estate experts so we can get you on the path to your new home. Click here for homes available in Clever.